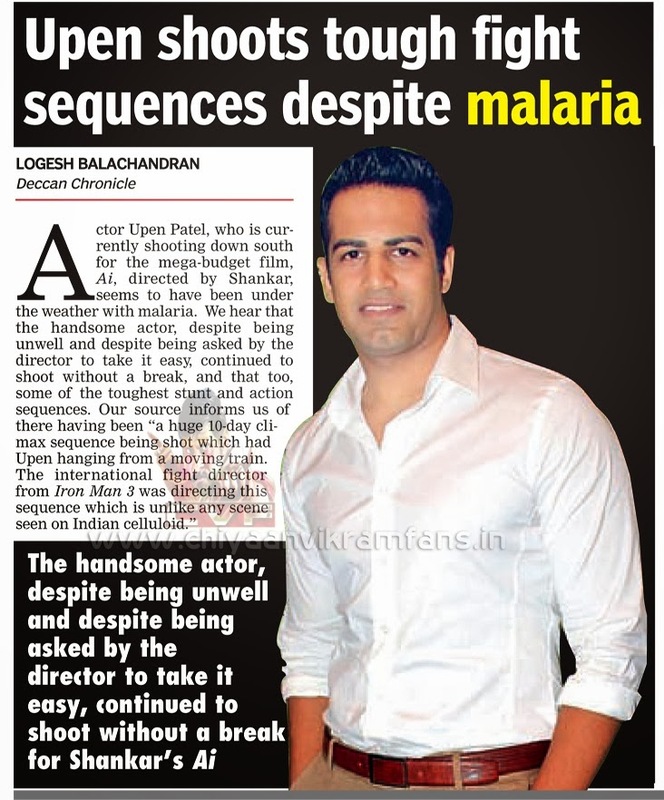 Actor Upen Patel, who is currently shooting down south for the mega-budget film, Ai, directed by Shankar, seems to have been under the weather with malaria. We hear that the handsome actor, despite being unwell and despite being asked by the director to take it easy, continued to shoot without a break, and that too, some of the toughest stunt and action sequences, Our Source informs us if there having been "a huge 10-day climax sequence being shot which had Upen hanging from a moving train. The international fight director from Iron Man 3 was directing the sequence which is unlike and scene seen on Indian celluloid"